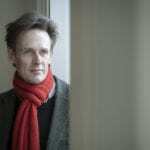 Next week, Ian Bostridge will make his long-awaited operatic debut at Teatro alla Scala as Peter Quint in Kasper Holten’s new production of Britten’s ‘The Turn of the Screw’, premiering on Wednesday 14 September 2016. 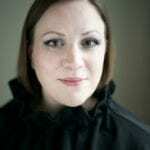 He is joined on stage by soprano Miah Persson and mezzo-soprano Jennifer Johnston. Miah returns to La Scala following her great success in the title role of ‘L’Incoronazione di Poppea’ in 2014/15. She will sing The Governess, a role she has performed to great acclaim; “one of the best acted and sung Governesses I’ve seen” (whatsonstage.com). Jennifer – who made her La Scala debut last year as Gaia in the world premiere of Giorgio Battistelli’s ‘CO2’ with “the most striking performance of the evening” (Bachtrack) – will make her role debut as Mrs Grose. Performances of ‘The Turn of the Screw’ at Teatro alla Scala run from 14 September to 17 October, under the baton of conductor Christoph Eschenbach. For more information and tickets visit La Scala’s website.